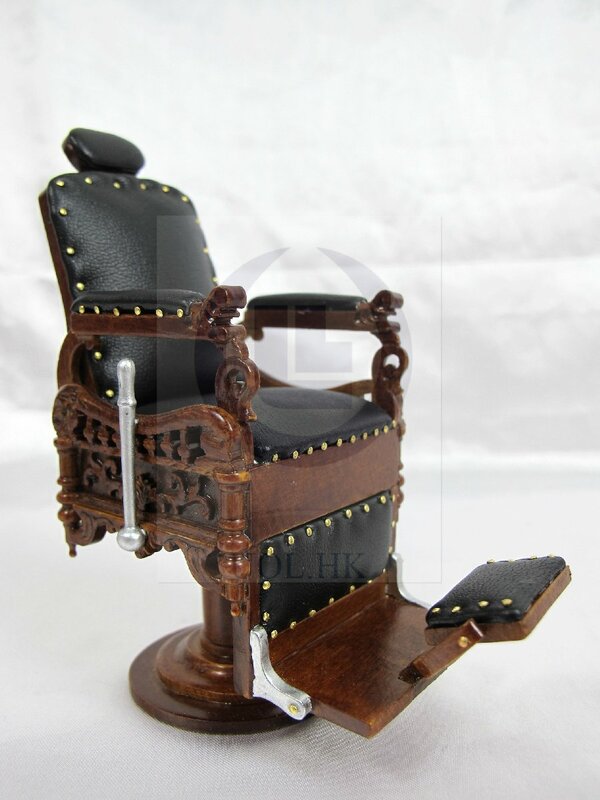 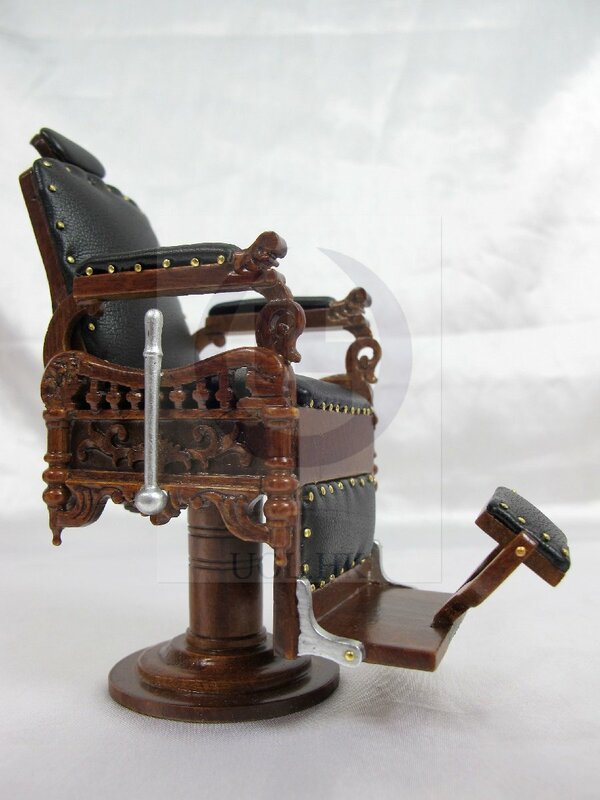 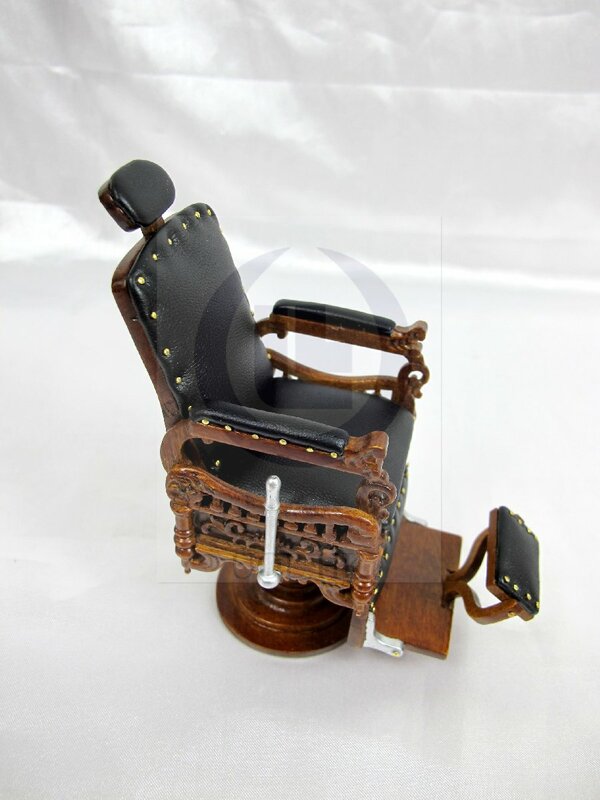 " The Eugene" miniature barber chair reclines and revolves . 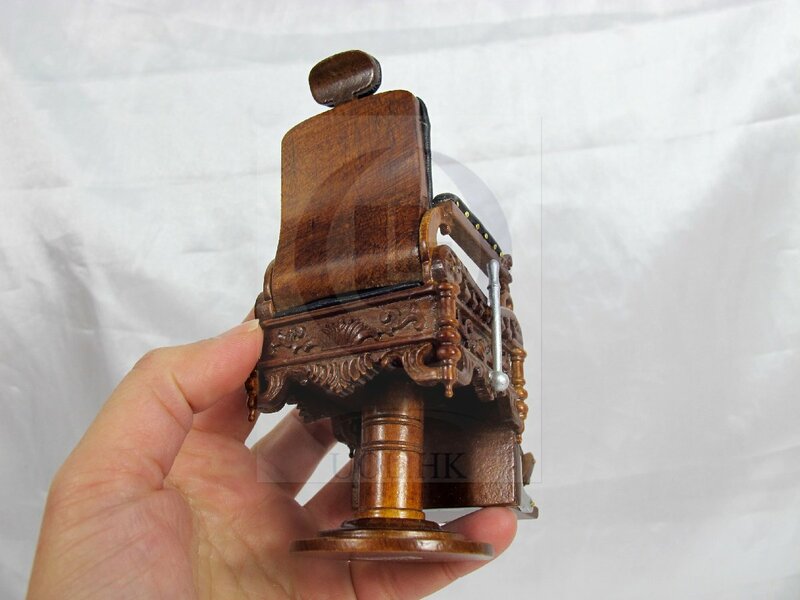 It made of wood, finished in walnut. 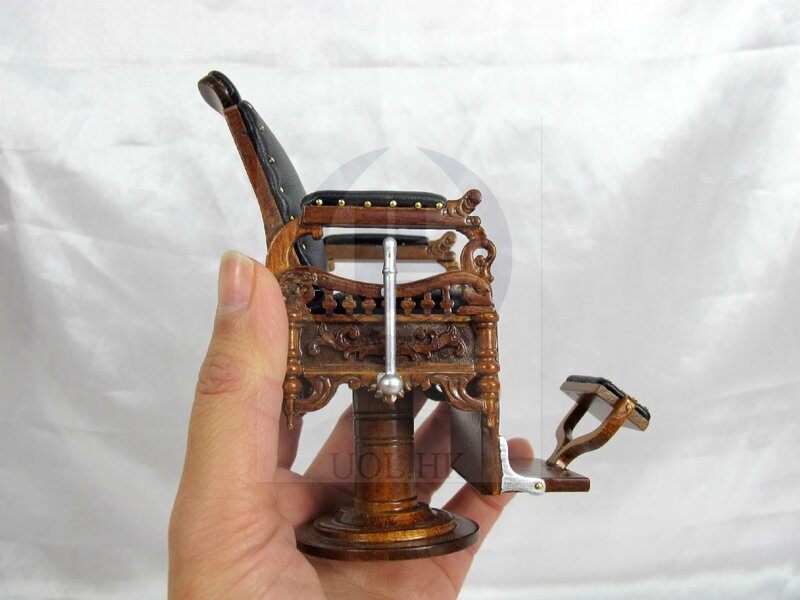 False hand-operated lever on the side . 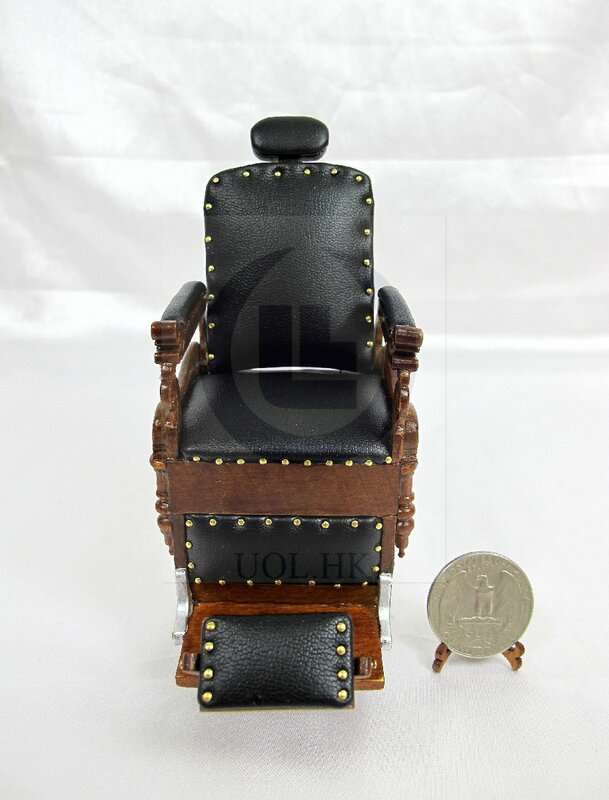 The decorative carvings in this chair so typical , as well as the black leather fabric upholstery. 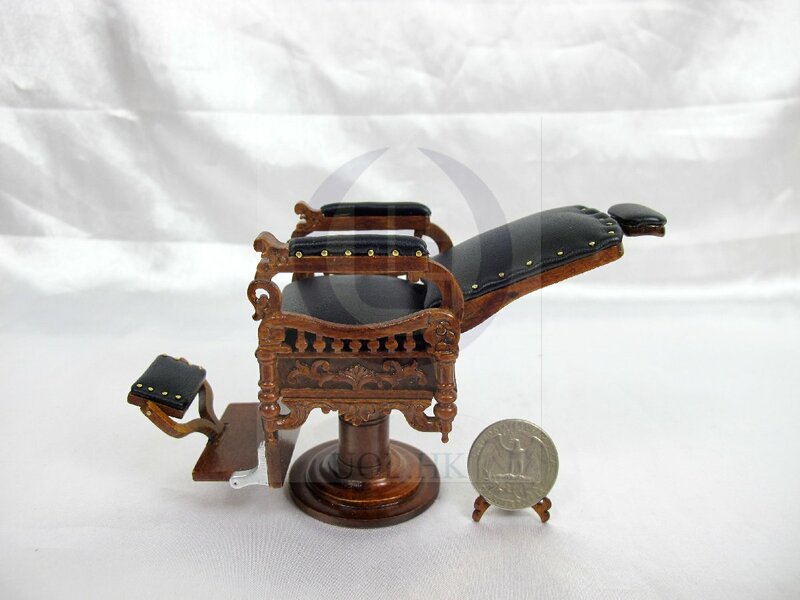 Other features were the adjustable footrest and the swiveling seat, which could also be put in a reclining position. 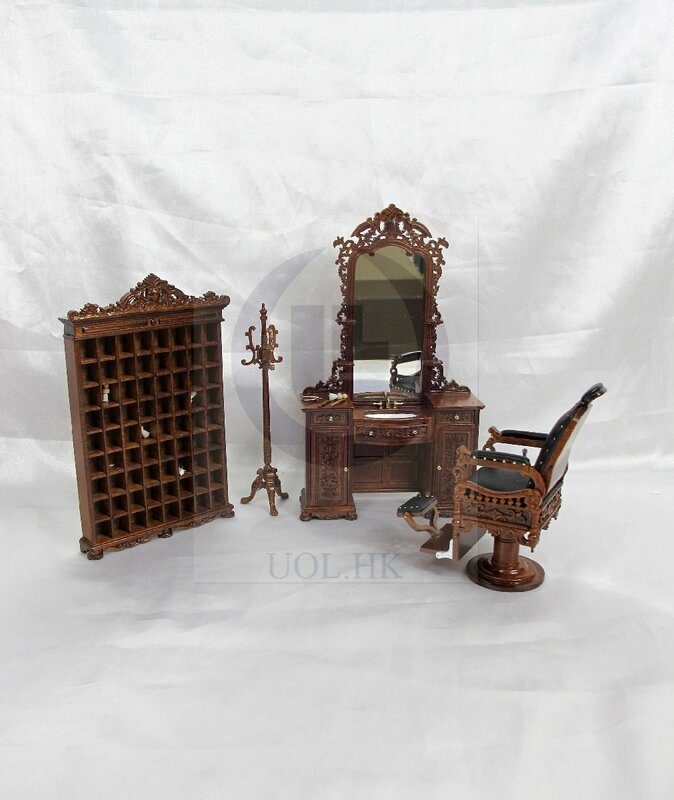 Follow picture for reference only. 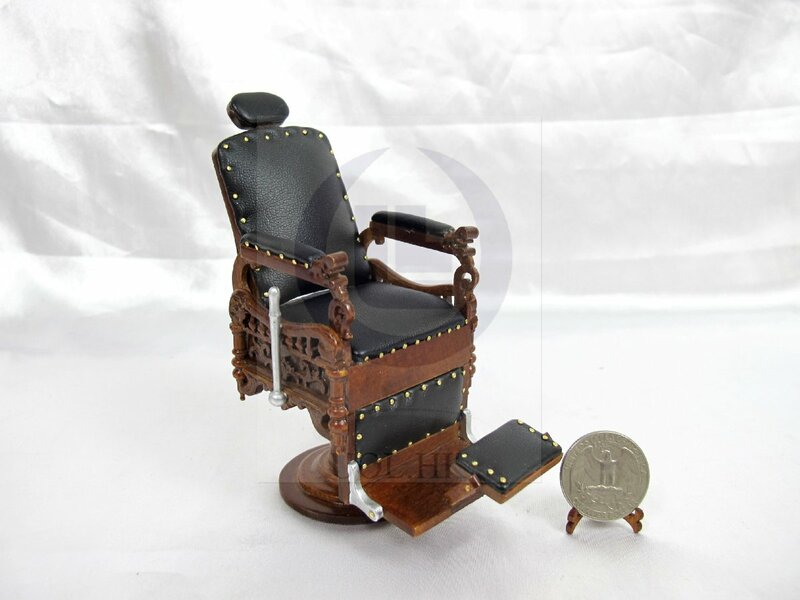 Items sold separately.